Seborrhea is a term that is used for any form of skin disease characterized by dry or greasy, itchy or inflamed skin, which is excessively flaky. 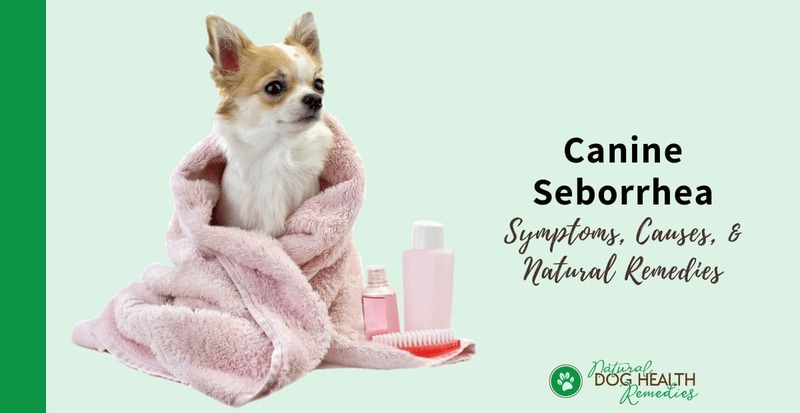 What are the Signs & Symptoms of Canine Seborrhea? 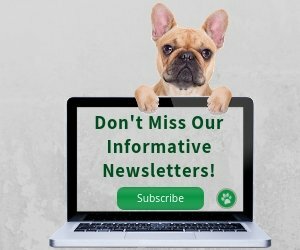 What Causes Seborrhea in Dogs? Seborrhea sicca: "Dry seborrhea" - the dog has dry skin with lots of dandruff. Seborrhea oleosa: "Oily seborrhea" - the dog not only has dandruff but also greasy skin with a distinct odor, due to excessive oil production by the skin. Seborrheic dermatitis: Greasy and flaky skin accompanied by inflammation. 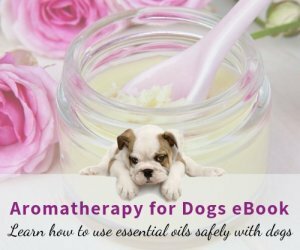 Many dogs suffer from a combination of "oily" and "dry" seborrhea. Why do dogs with seborrhea have flaky skin? The flakes that we see on dogs with seborrhea are dead scales (dead skin cells). In a normal dog, the cycle of dead cells being replaced by new skin cells is about 3 weeks. In dogs with seborrhea, this cycle is greatly accelerated and takes only a few days. As a result, there is an accumulation of dead skin cells on the skin surface. The answer is No. This skin disease is neither infectious nor contagious (to people or other dogs). The dog's skin may appear red (especially when inflamed). 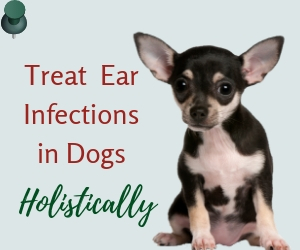 The dog's ear may be red, itchy, painful, and inflamed. The dog will lick and scratch incessantly. This type of seborrhea is most commonly seen in certain breeds, including the Spaniels (American Cocker Spaniels and English Springer Spaniels), Labrador Retrievers, German Shepherds, West Highland White Terriers, Basset Hounds, Irish Setters, and Shar-peis. Nutritional Disorders: e.g. malnutrition, pancreatic diseases. Parasites: e.g. fleas, ticks, lice. Allergies: e.g. food allergy, atopic dermatits, flea allergies. If you suspect your dog has seborrhea, it is important that you ask your vet to do tests to see if your dog is suffering from any of the health problems that may cause the skin problem. If you have an older dog, please do ask your vet to check the dog's thyroid levels. A lot of skin problems in older dogs are caused by hypothyroidism. My dog had this skin problem before being diagnosed with hypothyroidism. After diagnosis and being put on thyroid hormone pills, her skin issues disappeared in a short 2 weeks! Secondary seborrhea can be cured by tackling the underlying cause and controlling the symptoms of the skin condition. Primary seborrhea is almost impossible to cure - it can only be controlled. To manage the symptoms of canine seborrhea, medicated shampoos and coat conditioners are used. In addition, topical steroid and antibiotic preparations are used. You need to choose which shampoo is suitable for your dog according to the type of seborrhea (oily or dry) that the dog has. For very dry flaking skin, many vets recommend using a medicated shampoo that contains sulfur and salicylic acid. For oily seborrhea, shampoos that contain benzoyl peroxide are usually recommended. The hair surrounding the affected area should be clipped or shaved so that the shampoo can get to the skin easier. The Dog Owner's Home Veterinary Handbook suggests shampooing your dog first in warm water (using normal non-medicated shampoo). Rinse off thoroughly. Then shampoo again using the medicated shampoo. Leave on for 15 minutes then rinse thoroughly. This way you may get a better result. **Warning: In May 2011, the FDA's Center for Veterinary Medicine issued a warning regarding a seborrhea shampoo called Douxo Seborrhea Shampoo (by Sogeval Laboratories). The warning was issued as a result of asthma attacks in 2 dog parents (in the same family) while using this shampoo to wash their dog. One of the dog parents died as a result. FDA now warns dog owners with asthma to consult their doctors before considering using this shampoo. From a holistic point of view, seborrhea, like all other types of skin disorders, has a close relationship with a dog's diet and the immune system of the dog. If a dog is fed natural, wholesome foods and has a strong immune system, she is less likely to develop skin disorders such as seborrhea. Your dog should be fed a natural, nutritious, well-balanced, anti-inflammatory diet. It's simply a diet that doesn't contain ingredients that cause inflammation in the body, and instead use ingredients that are anti-inflammatory. Ingredients that may likely cause inflammation in dogs include refined grains, soy, starchy vegetables (e.g. potatoes), and processed meat. 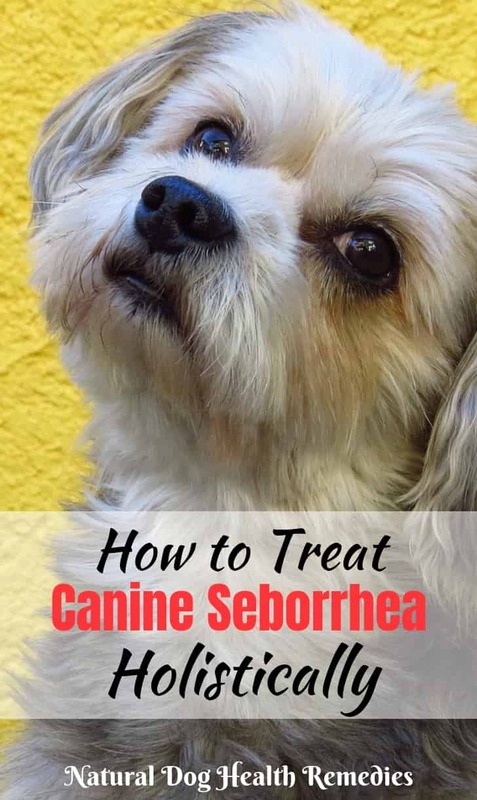 These should be avoided if your dog has seborrhea. Also consider giving your dog natural supplements such as fatty acids, digestive enzymes, and vitamins (in particular, vitamins A, C, and E). It contains enzymes, probiotics, vitamins, and minerals needed to maintain your dog's healthy skin and glossy coat. Herbal supplements that contain immune-boosting herbs (such as echinacea), as well as herbs that has blood cleansing properties (such as Oregon grape, sarsaparilla, red clover) can be given to a dog with recurrent chronic skin problems. They help to cleanse and detoxify the blood and strengthen immunity. It has a lot of herbs that support skin health (e.g. burdock, red clover, yellow dock, calendula) and the soft chew is a perfect way to supplement your dog! Some Chinese herbs are effective in expelling toxins, nourishing the blood and the skin, and re-balancing the body's immunity. This Chinese herbal remedy can eliminate toxins, reduce heat and dampness, and nourish the skin through nourishing the blood. It works well with skin issues such as seborrhea, eczema, hives, and other inflammatory skin conditions. It moistens the skin, reduces inflammation and itching, and facilitates skin healing. W.J. Dodds, et al. Canine Nutrigenomics - The New Science of Feeding Your Dog for Optimum Health (Dogwise Publishing, 2015).